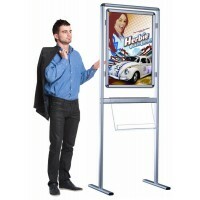 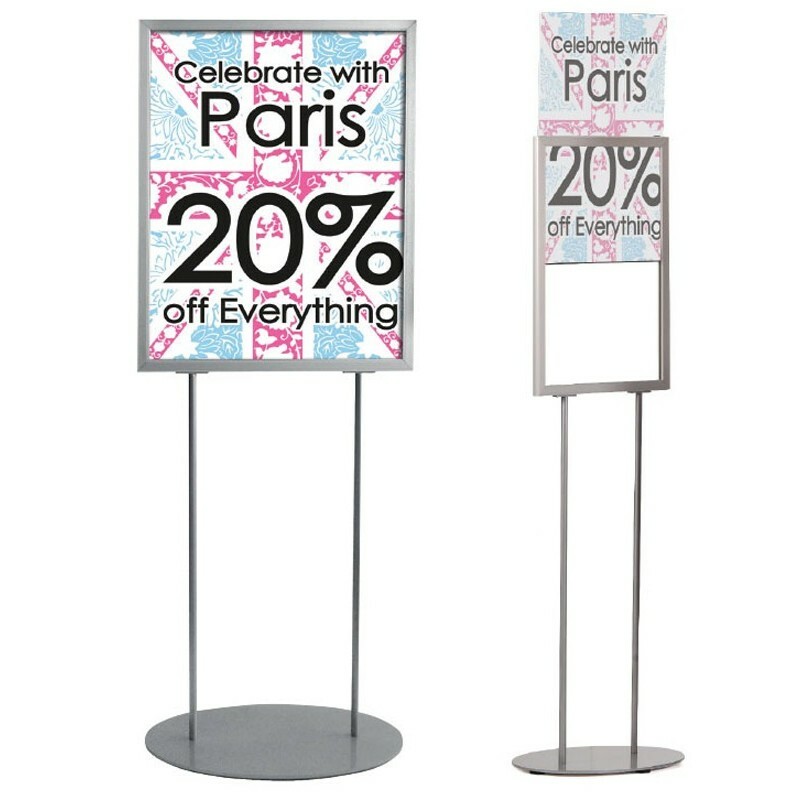 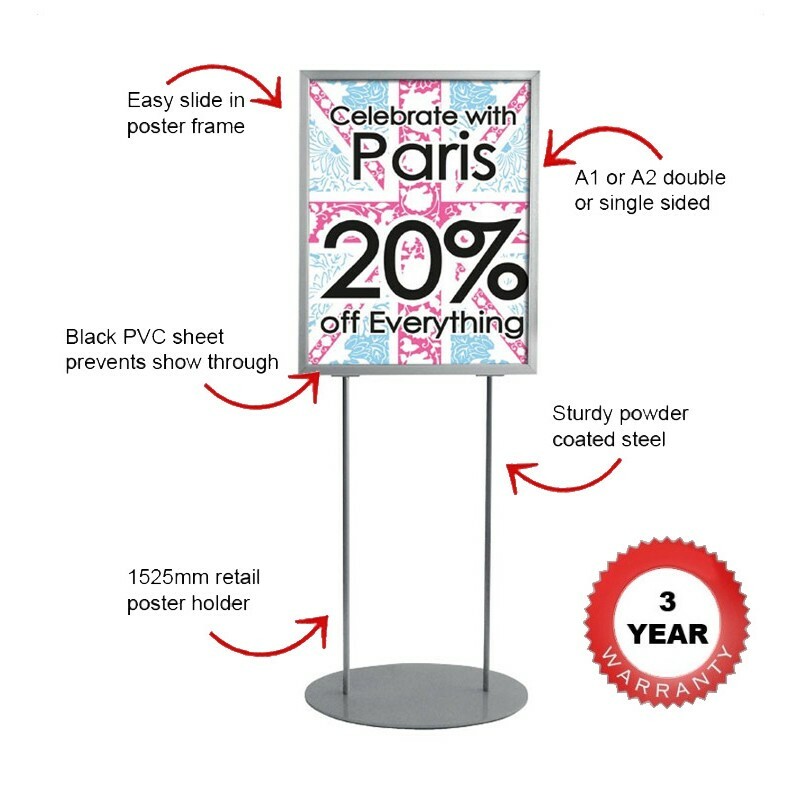 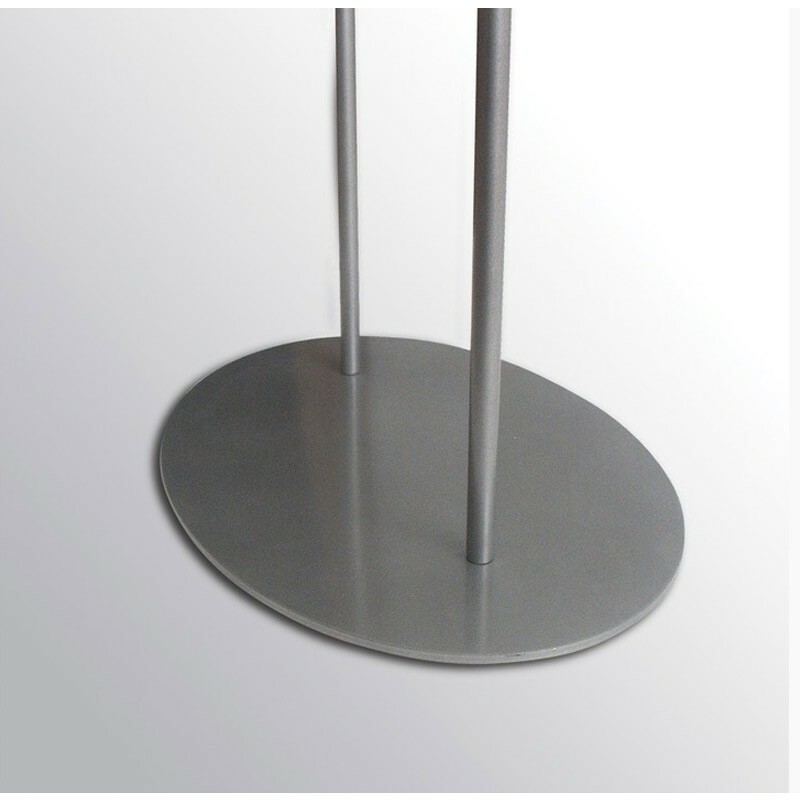 Don’t be fooled by the budget price of our exclusive best selling floor standing retail poster holder. We buy in bulk and pass the saving on to you. 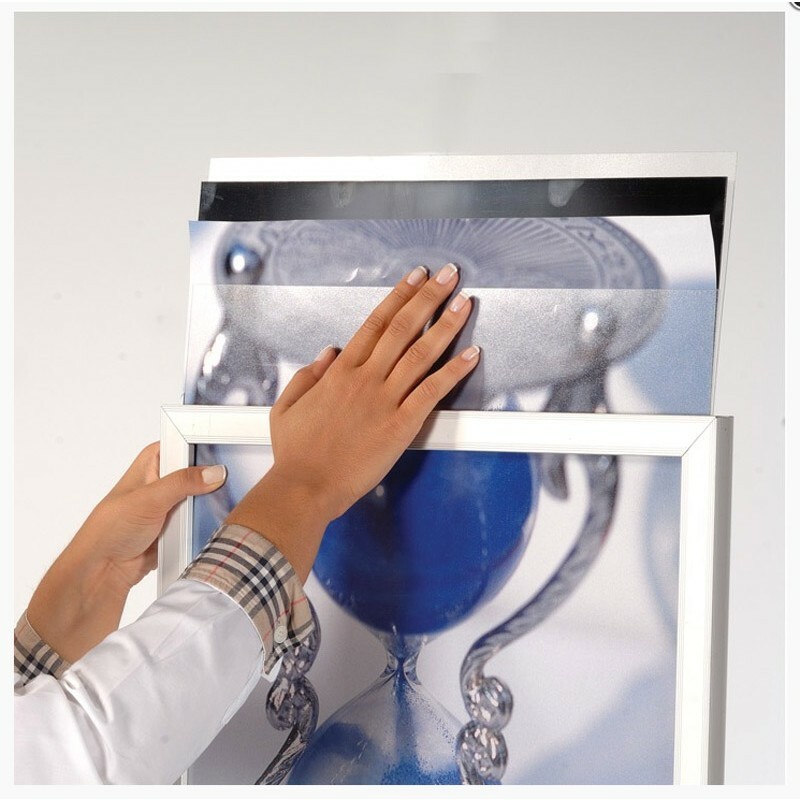 The stable base is made from powder coat steel in silver which is topped off with an aluminum frame into which you slide your posters. Each frame is provided with two plastic protective poster covers and a central blackout sheet. 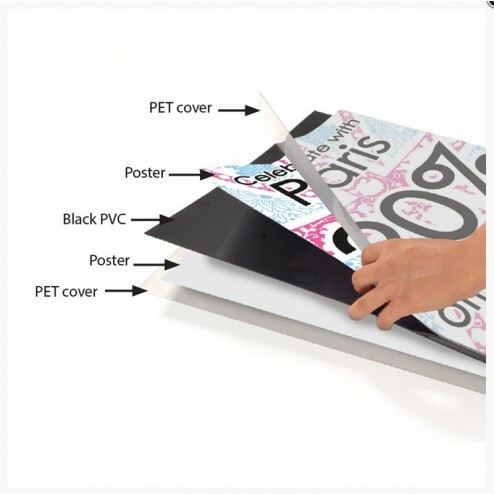 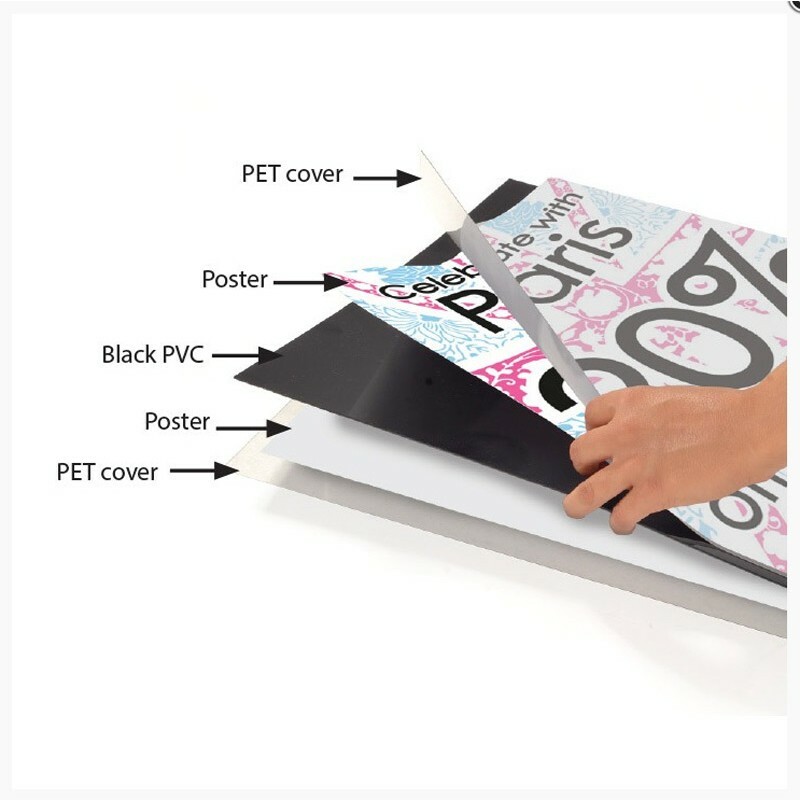 You simply slide your poster between the blackout sheet and the clear poster cover. 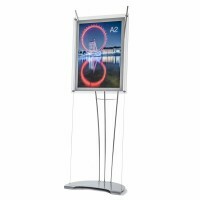 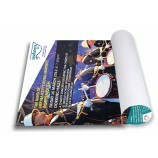 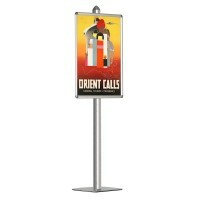 This retail poster holder can be used to display single or double-sided posters in either A1 or A2 sizes. 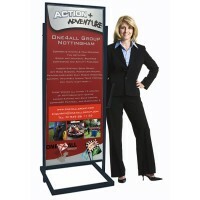 We hold large stocks of retail poster holders in our warehouse ready for next day delivery.